Or at least I hope I’m not the only one finding solace from a busy day browsing websites and picking outfits. Am I? Please, by show of hands, support me in this tedious and very time/budget consuming time of my life. 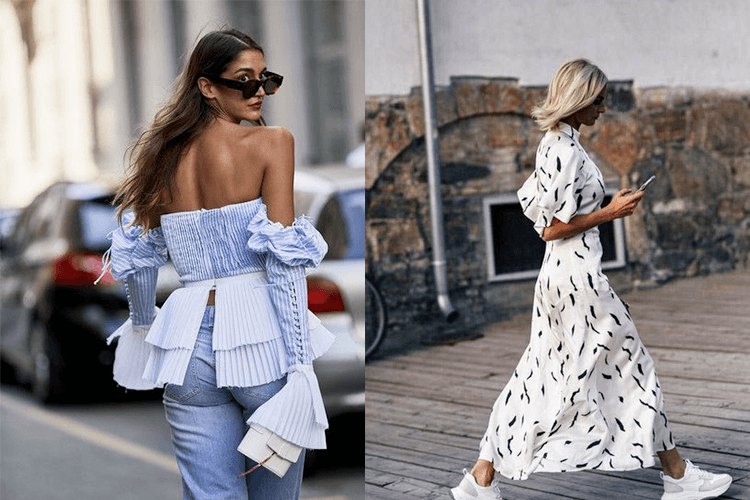 And since I’m in the know I won’t keep it all to myself and show you some spring / summer / transitional pieces I found at some of the fast fashion giants. Imagine this frenzy escalating to the next price range items, it would be cruel! So, here they are, 4 brands (Asos, Mango, Topshop & Zara), each with 2 items that I would gladly add to my already-taking-up-the-entire-house wardrobe. So please, take them off my hands before I press Add to Cart. 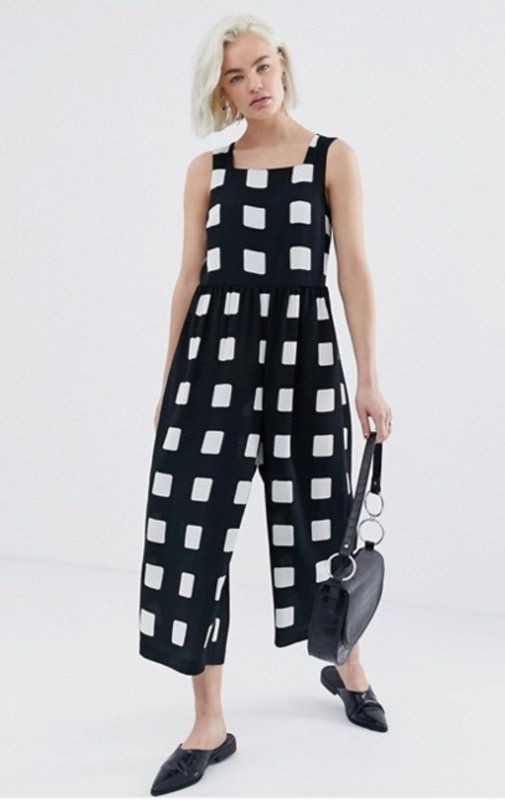 A black & white jumpsuit you can wear with sneakers for a day (of shopping) or with a dressier shoe for an engagement party. Mix it up with golden jewellery and for the relaxed version be sure to add a shell necklace. The dress is a long time favourite of mine – short, flowy and with long sleeves! 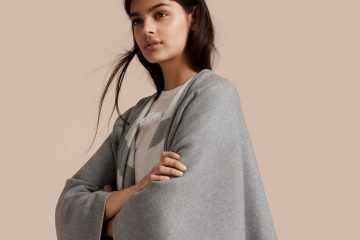 As years go by I’m loving Mango more and more, appreciating their quality materials and timeless designs. This is why I chose a linen vest, just right for those coldish spring evenings and a checkered skirt. 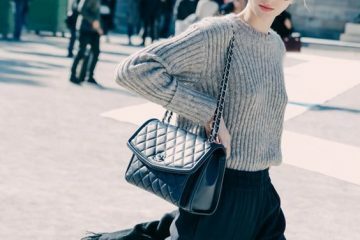 This item is awesome because it can go great both at the office, with a crisp shirt and ballerina flats, and in a city break with your fav sneakers and a puffly sleeved blouse. Go ahead and try the pieces in your local Mango store or browse for them online. 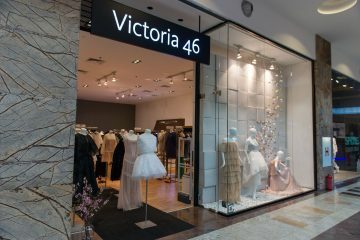 The newly opened store in Bucharest is reason of much happiness and wardrobe updating. 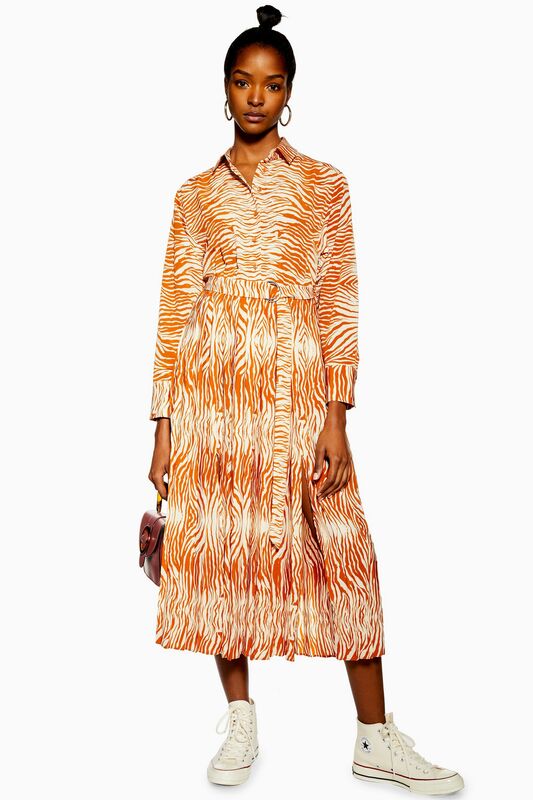 I’m featuring here one piece that I’ve already seen in store and regret not taking it home – the orange zebra print dress. I think it’s great for day to evening and even a fancy city break, like a visit to Florence or Vichy. 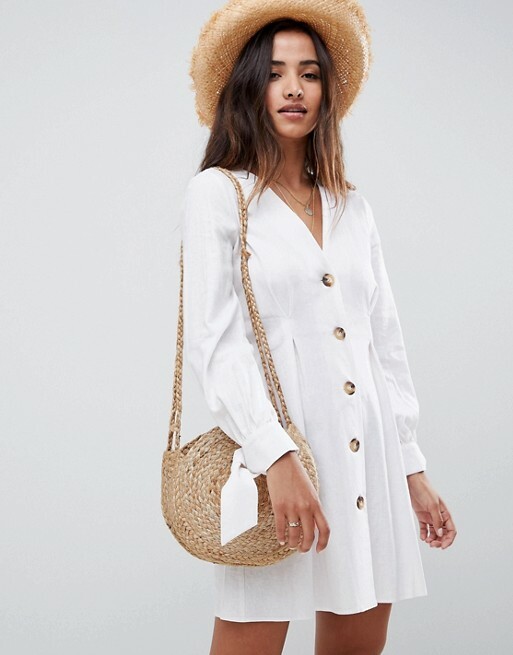 Then, we have the white belted broderie anglaise dress, with a cute ’80s vibe that takes me longing for a chilled rose au bord de la Seine. Go shopping or e-shopping! Last, but not least, the place we like to use for hot, seasonal trends. First off, the suit. Can’t go this spring without a pastel suit. My personal favourite is short pants-long sleeved jacket, but I would definitely bring this mint green version home. And to wrap things up, a big crush, the asymmetrical top, that goes with everything. Really! Find the pieces in store, or on your online version of the e-shop. 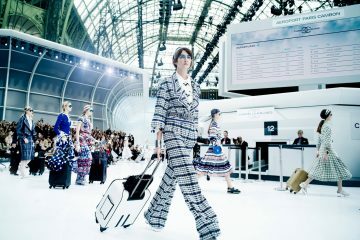 Now that I’ve unloaded my “burden”, tell me what you’d like to buy this season!